Less expensive eyelash extensions price options can range from $30 to $50, while the most expensive options can cost you $150 or more. It all depends on the quality and material of the lashes, as well as your preferred level of artistry. Cherry Lash, the best eyelash extensions service provider in Las Vegas, offers a few tips to consider when shopping around for the most reasonable eyelash extensions cost. When it comes to seeking out the best eyelash extensions price, you really do get what you pay for. Harsh, we know. But, the difference between a shoddy eyelash extensions job and a professional application is like night and day! Consider this: you could pay $30 to visit a full-service salon that can squeeze your eyelash extensions service into a rushed thirty-minute time slot. Or, you could invest more to visit a specialty boutique, staffed by professionals who are trained and evaluated in the art of premium lashing. When evaluating potential eyelash extensions service providers, don’t sacrifice quality and artistry for a bargain, lest you risk the health and strength of your natural lashes. Choose artists who approach the craft with care, cleanliness and a desire to exceed customers’ expectations. Any extra time and cash spent on a thorough appointment that includes a natural lash assessment, full consultation, customized set and an expert application will be worthwhile in the long run. There’s nothing wrong with ballin’ on a budget, as long as your natural lashes don’t have to suffer! Plenty of service providers understand the need for customers to find quality services at a reasonable eyelash extensions price, including the seasoned lash artists at Cherry Lash. 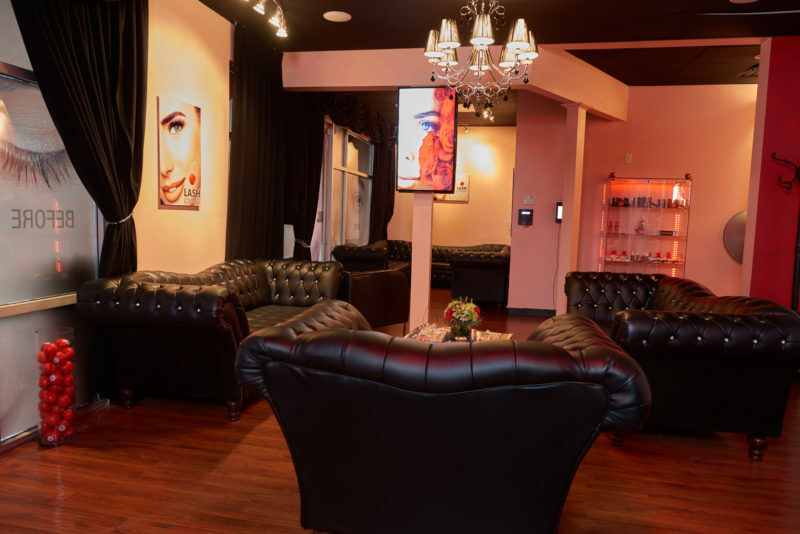 We provide the best eyelash extensions Las Vegas has to offer, and we make them accessible to every lash-loving diva in the City of Lights by way of our flexible tiered pricing system! Customers start by choosing their preferred artistry level – ranging from our most-requested and highly trained Master Artists to our up-and-coming Lash Apprentices. For as low as $59, you can have delectable lashes that turn heads without breaking the bank. Now, if you’re looking to ball out with bombastic lashes, our high-end services top out at $339. With 8 to 16 ultra lightweight extensions per application and voluminous, bold coverage, our new long-lasting “Mega Volume” technique is worth every penny! No eyelash extensions price should stand in the way of you looking fabulous. Try seeking out tiered options like ours to help you settle on the best eyelash extensions price for you. You can’t afford to settle when it comes to your lashes – and, with a service provider like Cherry Lash, you don’t have to! Whether you need freshly applied eyelash extensions or the occasional fill-in, our range of services and pricing options are sure to suit your budget and needs. Treat yourself to the service you deserve and live your best life in our cost-effective lashes – book an appointment at one of our two locations today! How to Edit Your IG Photos Like a Pro! False Eyelashes vs. Eyelash Extensions: What’s the Difference?